"April, Allie and the entire family, I struggle for words..."
"Richard my brother, I m sorry for your loss. I never knew..."
"Richard and April and Ramos Family. Our Thoughts and..."
"Ramos family you are in my thoughts & prayers. RIP Adam." Mass of Christian Burial for Adam Miguel Juan Ramos, 24, Lawrence will be held at 11:00 a.m. Saturday, December 8, 2018 at St. John the Evangelist Catholic Church. Burial will follow at Mt. Calvary Cemetery. He passed away December 2, 2018 at his home. Adam was born on February 4, 1994 at Lawrence Memorial Hospital, the son of Richard and April (Stoker) Ramos. Adam attended St. John's Catholic School, South Junior High, graduated from Lawrence High School in 2012 and attended KU. 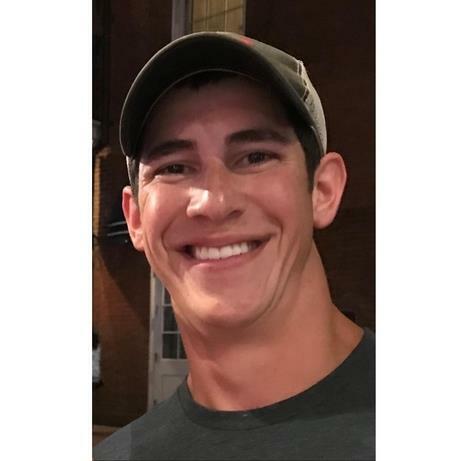 He was currently employed by Westar Energy as a Substation Engineer Apprentice. Survivors include his parents, Richard and April, Lawrence; paternal grandparents, Juan and Maria "Mickey" Ramos, Lawrence; maternal grandparents, Bette Lammerding and Marvin Schlatter, Marysville, KS, Charles Stoker, Morrowville, KS; aunts and uncles, Yolanda Ramos Reyes and husband, TJ, Linda Ramos Jaimez and husband, Louis, all of Lawrence, Jesse Ramos and wife, Missi (Beltch) Ramos, Austin, TX, Jim Bland and wife, Lyuba, Overland Park, KS and Joni (Stoker) and husband, Kevin Yates, Papillion, NE; sisters, Abigail (Derek) Christian, Topeka, KS, Allison Ramos, brother, Anthony Ramos, both of the home; niece, Addyson Christian, Topeka; and many other family members and close friends. He was preceded in death by his grandfather, Francis Lammerding; aunt, Lisa (Ramos) Bland. A Rosary will be recited at 7:00 p.m. with a visitation to follow until 9:00 p.m. on Friday, December 7, 2018 at St. John the Evangelist Catholic Church. Memorial contributions may be made in his name to Lawrence Humane Society or St. John's Mexican Fiesta and may be sent in care of Warren-McElwain Mortuary, 120 W. 13th Street, Lawrence, KS 66044.